"Supporting the Law Enforcement Agencies of our State, and helping to educate and empower the public for a safer community." CAUTION, DO NOT APPROACH. CONTACT LAW ENFORCEMENT. Notice: Before arrest, verify warrant through the National Crime Information Center (NCIC). If arrested or whereabouts known, contact the U.S. Marshals Office at (808) 541-3000. 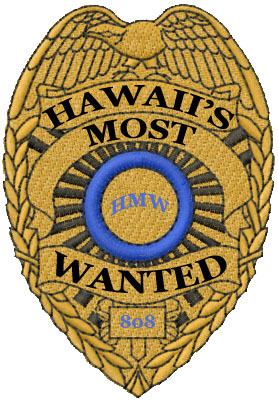 To view current listings and additional fugitives sought, go to the District of Hawaii site.